It’s tough to get a reliable wallet for Monero, and I think many us have faced this issue from quite some time. But what if I say that’s not the case anymore as we now have several easy to use and reliable Monero wallet for every type of user. And in this post, I am exactly going to tell you about many reliable Monero wallets for desktop operating systems such as Windows, Mac, Linux as well as iOS and Android wallets. Now you have hardware wallet support for Monero also available. But before going into each one of them, let me tell you the reason why it took so long for several Monero wallets to come out. The delay happened because Monero is highly secure private money and that’s why its architecture is quite complicated which led to the ultimate delay in getting light Monero wallets especially the hardware wallets. But this is solved now, and we have many popular and reliable Monero (XMR) wallets that you can use to store Monero. Ledger Nano S is a must-have in your toolkit if you are into crypto. For those of you who don’t know about Ledger Nano S, it is a cryptocurrency hardware wallet which looks like a small flash drive and comes with an OLED screen. The OLED screens and the two side buttons help you navigate the Ledger Nano S UI easily, and its newly launched Ledger Live desktop app is just awesome. Ledger Nano S is an HD wallet that supports 700+ cryptocurrencies including Monero. And I must admit that many Monero fans like me were waiting for long to see this day when Monero’s support comes on Ledger Nano S device. 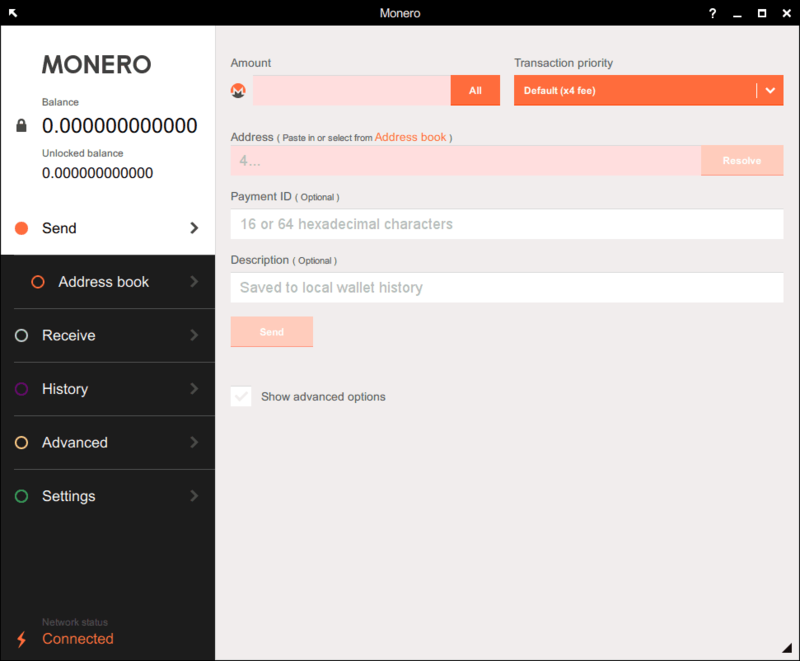 However, Monero is not yet supported on native Ledger Nano S app, but it is now compatible with Monero GUI wallet. Which means you can use Monero on Ledger Nano S.
So what are you waiting for? If you are a Monero holder and want to secure your Monero in the best possible way!! Look no further than Ledger Nano S wallet. 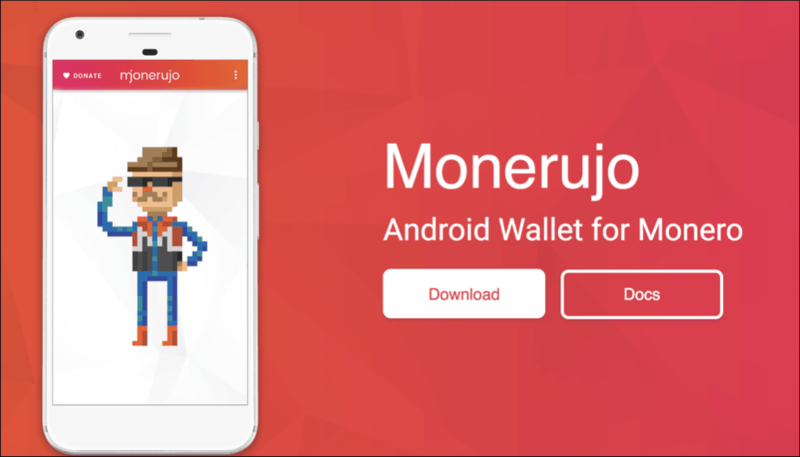 Monerujo is the first mobile wallet app for Monero, and the good thing is, it is an Android app. With this wallet, you control your Monero as you get the seed while setting it up for the first time. Also, you can make multiple wallets easily for free using Monerujo wallet. It also supports QR feature which is a good one to have to avoid typos while copy-pasting addresses. If you want to pay someone in BTC and still be anonymous, you can do so by using Monerujo wallet. 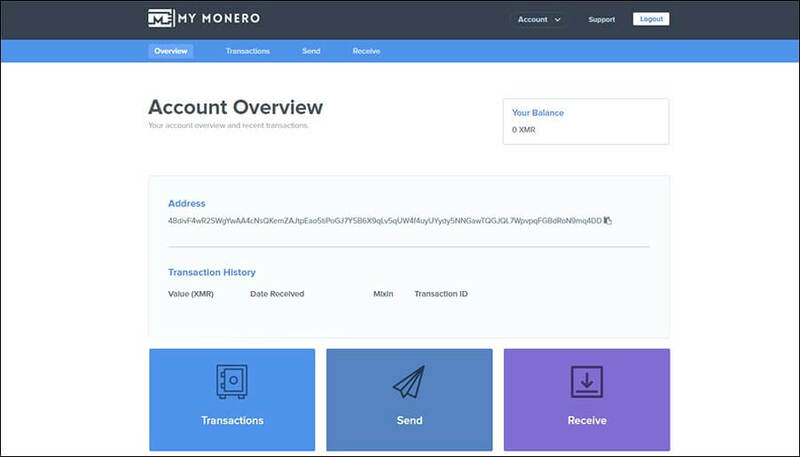 Monerujo wallet integrates with XMR.to through which you can pay any Bitcoin address in the world while protecting your privacy. Cake wallet is a multi-lingual Monero-only wallet for storing Monero cryptocurrency. But this wallet is only for iOS users, and here you get full access to your private keys through your 13-word seed that Cake wallets provide. With Cake wallet, you can create multiple new wallets and set your own transaction speed. You also get the feature of Face ID recognition with iOS wallet for enhanced security. Cake wallet is now present in Mandarin, Russian, Spanish, German, Hindi, Korean, Japanese, Portuguese, Polish and Dutch and More languages. So go ahead and enjoy your private transactions with Monero Cake wallet. Want an even simpler mobile wallet for Monero? Well, we have got your back as we have found Edge wallet. Edge Wallet is the multi-currency wallet for Android and iOS users. The good news is that it supports Monero on both mobile OS. I keep this wallet always in my device as a backup option because it is effortless to use and fast to set up. For using Edge, you need not take any backups of your seed or private keys/passphrase. Instead, you can directly get started by setting up a login and password for your wallet. And a piece of advice from my side if you choose to use Edge wallet for your Monero coins, use their Biometric TouchID and FaceID login as this will add another layer of security to your device. The Atomic wallet is the new entrant in the crypto wallet space. As of now, it is a multi-currency desktop wallet to store more than 300 cryptocurrencies including Monero. You can not only store/receive/manage your Monero in Atomic wallet, but you can also use their non-custodial Atomic Swap exchange with the decentralized order book. Presently, Atomic wallet is available for all major operating systems such as Windows, Mac, Ubuntu, Debian, and Fedora, etc. So what are you waiting for? Just get started with the new Atomic wallet, and it’s easy to use UI. Looking for a reliable web and desktop wallet for Monero? Well, your search should end here. Guarda wallet is a simple and intuitive multi-currency wallet that supports 30+ cryptocurrencies including Monero. And the good thing about this wallet is that it is a non-custodial wallet where you control your funds always. Its web version, as well as chrome extension both, are available. So Monero holders can choose whatever they may like. But I would suggest you go for desktop client version for Mac, Windows, & Linux because web wallets can often get you pished. Guarda wallet is also known for its mobile wallet, but unfortunately, as of now their mobile app for Monero isn’t available. Monero GUI wallet is the official wallet by Monero developers. It is a heavy wallet that is required to run a Monero full node, and that’s why you are required to download the full Monero blockchain for using Monero GUI wallet. The blockchain synchronization can take up to several hours after its downloaded. And after the sync is complete, you can set up the non-custodial Monero desktop wallet by backing-up your 25-word seed. Monero GUI wallet is available for Windows, Mac, Linux as of now. If you like paper wallets, Monero Offline wallet generator is for you. Using Monero offline generator, you can create easy to use Monero paper wallets which will have a pair of private and seed keys printed. You also get the view and secret keys with that which are essential to use Monero. But paper wallets are not for everyone as you need to be extra cautious for using them and when you have hardware wallet like Ledger Nano S, you shouldn’t need paper wallets. Anyways, if you like to get yourself a Monero paper wallet, do check out MoneroAddress. MyMonero is another official wallet by Monero, and the good thing is that it is on the lighter side of things. It means you need not download the whole blockchain to use this wallet and you can simply start with MyMonero right away as it is a web wallet. MyMonero is a web-based interface that allows you to use Monero without running a full Monero node. However, because this convenience comes at a cost: it is extremely difficult for MyMonero to securely deliver its code to your browser. This means that there is considerable risk in using MyMonero for large amounts! It is recommended that you treat MyMonero as you would treat your actual wallet, and not store very large amounts in it. For long-term storage of Monero, you should create a cold wallet using MoneroAddress or similar. Trezor hardware wallet is also preparing to support Monero as soon as possible. And in my opinion, that would be a great move where you will have two hardware wallets supporting Monero. And this will likely open up the way for more cold wallet options for storing Monero in the future. The firmware update on which Trezor is working on is called Monezor: The Hardware Monero Wallet and it is likely to be released on Trezor Model T.
So that’s all from my end today on Monero wallets.